NLG-Mass member Attorney Mark Stern spoke about the many different types of labor law, from union law to discrimination cases to workers’ compensation. 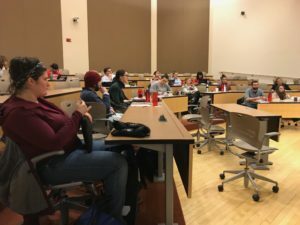 The classroom of law students and law workers left the teach-in with valuable insight into what it takes to protect workers’ rights at the legal level. According to Stern, attorneys can engage with labor union work through one of two facets: on the side of the labor union itself, or on the side of the union members through union democracy work. If an attorney represents a union itself, they ultimately negotiate in court what that union should be. “Being a labor union lawyer is, effectively, an administrative job,” Stern said. “If you want to win a case in court, you want [the case] to be simple. If you want to feed a case into court, you want [the case] to be complicated…discrimination cases are always complicated and incredibly difficult to win. If you’re good, you can make a decent living, but most cases you’ll see, you won’t be able to do anything about. 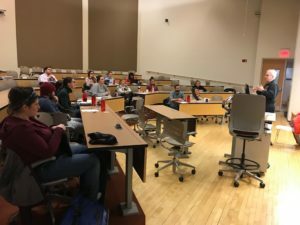 The ones you can do something about, though, are very rewarding,” Stern said in regards to retaliation and discrimination work. 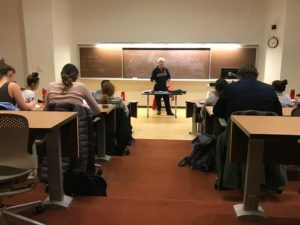 During the Q&A portion of the teach-in, Stern answered a question regarding how to approach an exploitative employer on behalf of your client: “You need to negotiate a solution. Always present [the employer] with options…if you approach a situation by asking questions, you will walk away hearing something that you didn’t know was there before…if you ask ‘why why why why why,’ you’ll always gain some ground.” This advice is applicable to cases across the board of labor/employment law. The NLG-Mass Chapter will host a teach-in regarding various legal issues that are pertinent in today’s political climate every month at a different local law school in Greater Boston. These teach-ins are free and open to both legal professionals and the general public. Please visit the “Law For The People” webpage for more information, including featured speakers, locations, topics, and dates – and don’t forget to follow NLG-Mass Chapter on Facebook for constant updates! We hope to see you at the next – and final – teach-in!